Every year in the fall, the trees in New England put on a spectacular show by turning bright yellow and red, and it’s always worth making at least one trip to enjoy this special time of year. It’s a bittersweet event as it reminds you that a brutal New England winter is just around the corner and that everything is ephemeral. 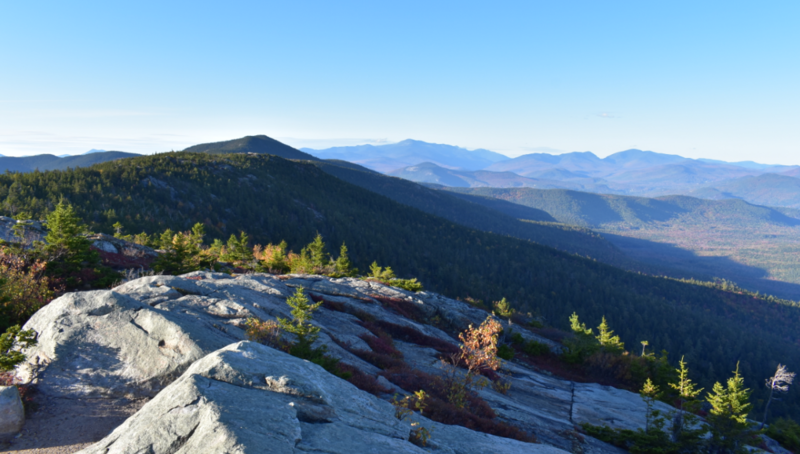 Last year, we went to Franconia Notch State Park and this year, we decided to explore the area around Mount Chocorua in the White Mountains. We waited until the weekend after Columbus Day, and it was a great decision. 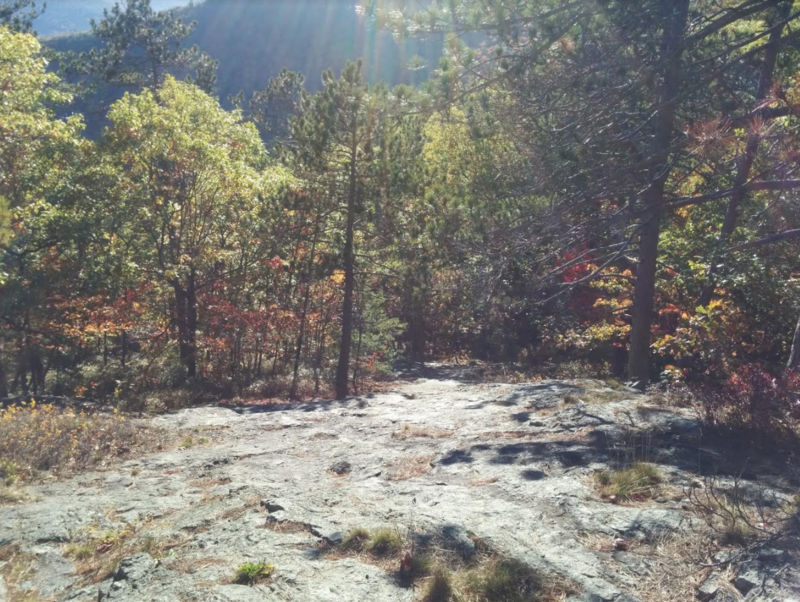 Most campsites were already closed due to the season ending but I was able to scout out the Tamworth Camping Area, which we basically had to ourselves. The campground was apparently super busy the weekend before but we just reserved ahead by one day and even decided to extend our stay for a second night once we were there. Fabulous! 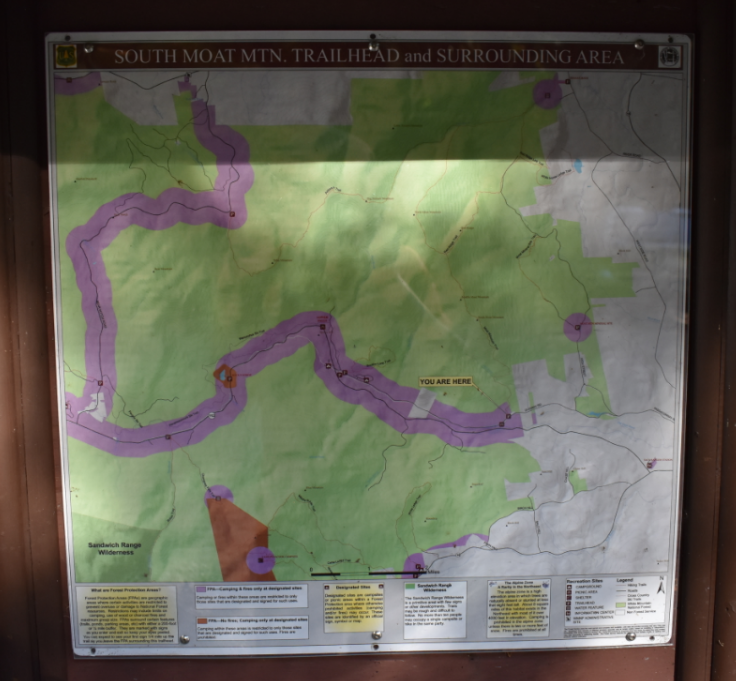 The day we arrived, we did a shorter hike to South Moat Mountain, about 5 miles out and back. It was just enough since we only had about three hours of daylight left after traveling to New Hampshire in the morning and setting up camp first. The hike was quiet, not too strenuous, and we had the summit to ourselves. After the sun set, we enjoyed a quiet evening with a campfire in still pleasant fall temperatures. What more can you ask for? Classic New England trail. All rocky. Klassischer Wanderweg in Neuengland. Alles felsig. Summit view. Lovely! Sicht vom Gipfel. Herrlich! Jedes Jahr im Herbst findet in Neuengland ein Schauspiel der Bäume statt, wenn sich die Blätter leuchtend gelb und rot färben und es lohnt sich immer, mindestens eine Reise einzuplanen, um diese besondere Jahreszeit zu genießen. Es ist auch ein bittersüßes Ereignis, denn es erinnert einen daran, dass ein bruter Neuenglandwinter vor der Tür steht und dass alles vergänglich ist. 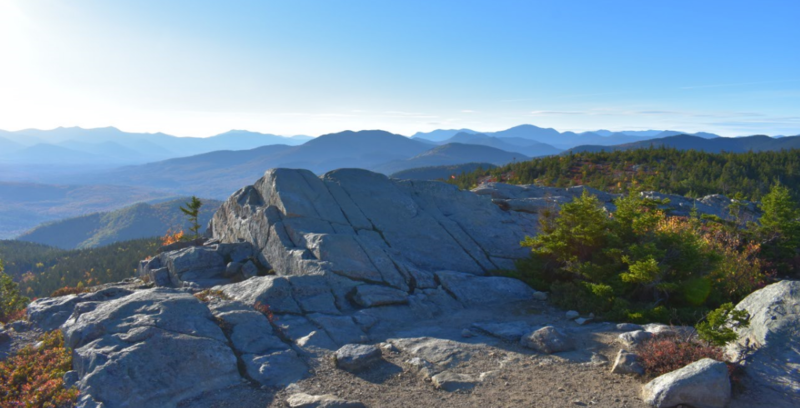 Letztes Jahr waren wir im Franconia Notch State Park und dieses Jahr entschlossen wir uns dazu, die Gegend um den Mount Chocorua in den White Mountains zu erkunden. Wir warteten bis zum Wochenende nach Columbus Day, und es war eine gute Entscheidung. Die meisten Campingplätze waren aufgrund des Saisonendes bereits geschlossen, aber ich fand zum Glück den Tamworth-Zeltplatz, den wir im Prinzip für uns hatten. Der Zeltplatz war anscheinend am Wochenende vorher total voll, aber wir reservierten nur einen Tag im Voraus und verlängerten sogar um einen Tag, als wir da waren. Fabelhaft! Am Tag unserer Ankunft machten wir eine kleine Wanderung zum South Moat Mountain, ca. 5 Meilen (8 km) hin und zurück. Es war genau richtig, denn wir hatten nach der Fahrt morgens nach New Hampshire und dem Zeltaufbau nur noch ca. 3 Stunden Tageslicht. Die Wanderung war ruhig, nicht zu anstrengend und wir hatten den Gipfel für uns. Nach dem Sonnenuntergang genossen wir einen ruhigen Abend mit Lagerfeuer am Zeltplatz in immer noch angenehmen Herbsttemperaturen. Was will man mehr? No one else around. And the weather was perfect. Sonst keiner da. Und das Wetter war perfekt. Taking it all in. Zeit zum Genießen. 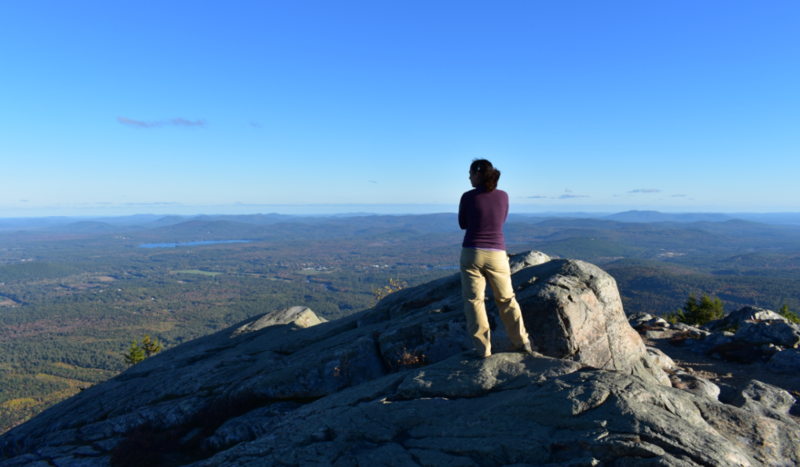 This entry was posted in USA, USA - New Hampshire and tagged Camping, Fall, Foliage, Hiking, Mount Chocorua, New England, Solitude, South Moat Mountain, White Mountains on October 21, 2017 by Eva. Subscribe to our blog and get an e-mail whenever there is a new post. new posts by email.